FEBRUARY 8, 2015. THIS PETITION IS CLOSED. PLEASE SIGN NEW PETITION FOR INCREASED EDUCATION FUNDING IN THE BC PROVINCIAL BUDGET TO BE ANNOUNCED FEB. 17. THANK YOU FOR SUPPORTING PUBLIC EDUCATION IN BC, AND FOR YOUR SUPPORT OF BC TEACHERS LAST YEAR. In light of the current labour dispute between the provincial government and the BC Teachers' Federation, we - as citizens and parents - respectfully call upon you to reopen negotiations with the BCTF with an offer that goes a substantial distance to meeting their contract terms, particularly those concerning the request for a $225 million fund which will hire new teachers and deal with class size and composition issues. Teachers are at the front-line, educating future citizens who will ensure our province continues to be an economically healthy, democratic and compassionate society. Teachers deserve our respect, as well as compensation and benefits commensurate with the importance of their role in shaping future generations. The value of a strong education is priceless, and we urge you to make resources available that will enable the government to substantially address BCTF contract proposals - and ultimately, to meet the needs of our learners. Our next goal is 10,000 signatures - when we have them we will make a delivery to Premier Christy Clark, hopefully with news cameras in tow. Please help us reach this goal as soon as possible - share this with everyone you know who cares about public education in BC. Please spread this petition link far and wide! We still haven't met our goal of 1,000 signatures, and there are way more than 1,000 residents of BC who want to see teachers and students back in the classroom this September! We can make help make it happen if we keep public pressure visible. 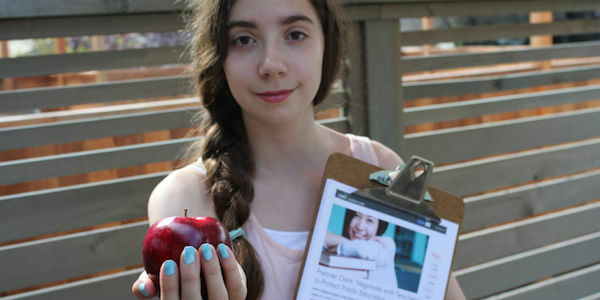 If you have signed this petition, please share it, to help us get a real representation of the support that is out there for BC teachers. Thank you and enjoy this summer day!